Our simple process ensures precise sealing in just a few hours. No muss, no fuss. 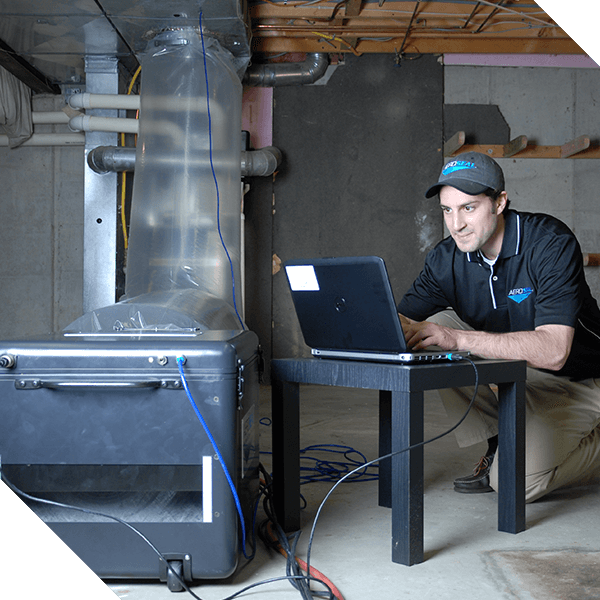 We connect our patented technology to your home’s heating & air system to distribute the sealing formula. Our non-toxic, water-based formula effectively seals all the holes in your air ducts and vents, making sure your air goes where you need it – not where you don’t. Have peace of mind seeing real-time results while the cracks are being sealed. You’ll even get a certificate of completion showing the before and after results. First, we block all your vents and registers to pressurize your system. This pressurization allows our technology to find all the cracks and holes where air is leaking. Next, we hook up the Aeroseal technology to measure your pre-seal air duct leakage, giving you a before and after snapshot. More on that later. We are then ready to begin distributing our sealant formula throughout your air vent and duct system. 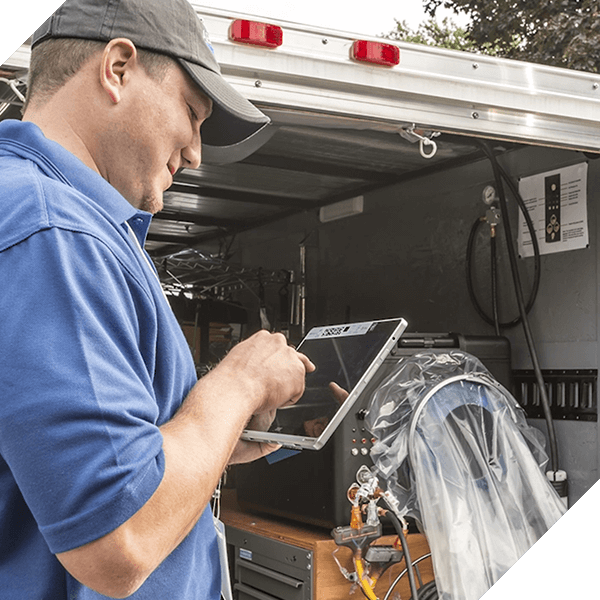 While sealing, we monitor your system’s performance and show you all the improvements, as they happen. Our technology is so precise that we only use the amount of sealant necessary with virtually no waste and very little cleanup. When we’re finished, a certificate of completion, including both before & after system performance, is printed and presented to you. 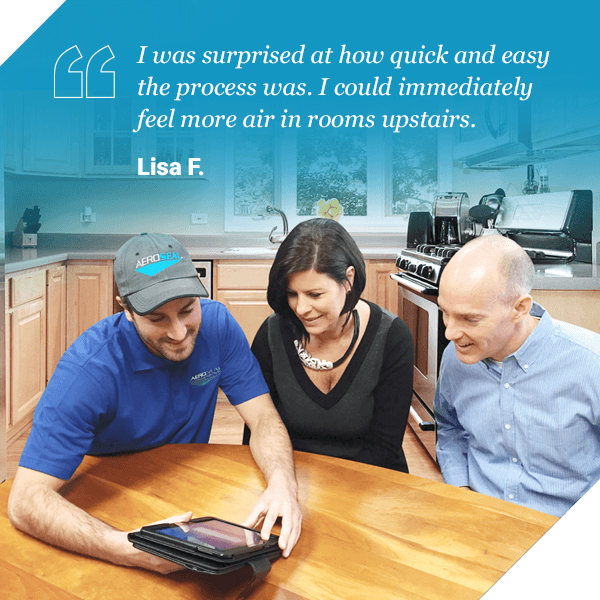 More importantly, you’ll feel the difference in your home right away.